Skee-Lo | Digging in tha crates. 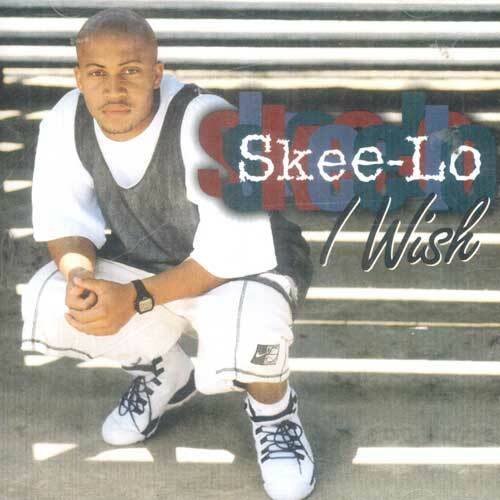 Skee Lo is about as good of an example of a one-hit-wonder you can give. In 1995 his single I Wish hit the top twenty of charts worldwide. That might not seem like much of an achievement today but back then the pop charts still weren’t entirely used to hip-hop songs. After that song disappeared from the charts Skee was never heard from again, which is a shame because his debut album showed a lot of promise. Apparently he isn’t from L.A., but according to Wikipedia he had been living there for about a decade when he released this album, which explains the explicitly left coast feel it gives off. (Although today a hiphop album typically has thirty tracks produced by the fifty hottest producers of the moment and features the illest MC’s from across the north American continent, making it sound all over the map by default, in the mid-‘90s you could pretty much accurately deduce from where a rapper hailed by actually listening to his/her music. Usually because over the span of somewhere between twelve and fifteen tracks an artist and a handful of producers got enough time behind the mic/ boards to form and show an identity usually coloured by the variety of hiphop that was popular in their hometown.) 1995 California hiphop was syrupy G-funk which usually meant that it incorporated melodic synthesizers, slow hypnotic grooves, a deep bass, cheesy female backing vocals and a high-pitched, whiny, hovering synthesizer lead. That doesn’t however mean that Skee is a Snoop Doggy Dogg clone. Antoine “Skee-Lo” Roundtree isn’t a ho-macking, drug-selling gangsta but displays an every day guy-persona with some street-knowledge instead. He openly raps about his own problems, which include insecurity about his height, his wealth and his percieved lack of prestige on the title track and Top Of the Stairs. A rare occurance in the Gangsta dominated hip-hop scene of ’95. He does brag occasionally but usually not about anything but his rhyme skills, which he proves as fairly impressive in the process on Superman. And when he does talk about the streets he sounds genuinely scared that something bad might happen to him out there on Never Crossed My Mind. Not that I Wish is all about how poor, unattractive and whimpy he is. On the contrary; he talks about the joys of life such as hanging out with is boys on sundays on the mellowed out Crenshaw, and even the eating various fast foods on the jazzy the Burger Song. He’s actually not unlike Coolio or Warren G in the content department. As far as his flow is concerned Skee-Lo sort of kind of sounds like Twista dropping his usual speed-rapping antics in favor of something a little more mellow. All in all I Wish is a pretty impressive debut. Even though there’s nothing that tops the smash-hit title track there isn’t really a skippable track to be found here either. If you find this in your record store pick it up.